Archives can be amazing places where not only objects and records are stored, but where stories can be re-discovered and re-used. 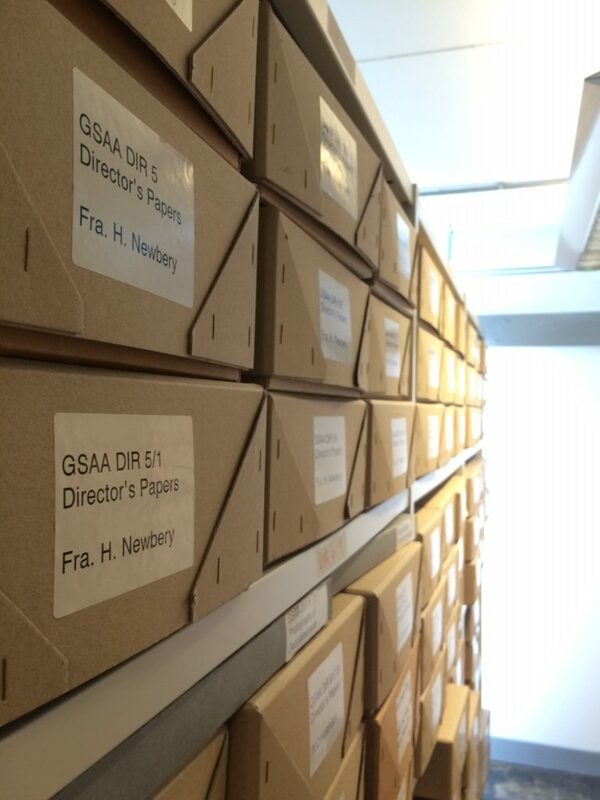 The GSA Archives and Collections is no exception, and amongst our many, many records are some truly amazing and quite surprising stories. One of the most entertaining of these, is that of the ‘Living Animal’ room in the Mackintosh Building. 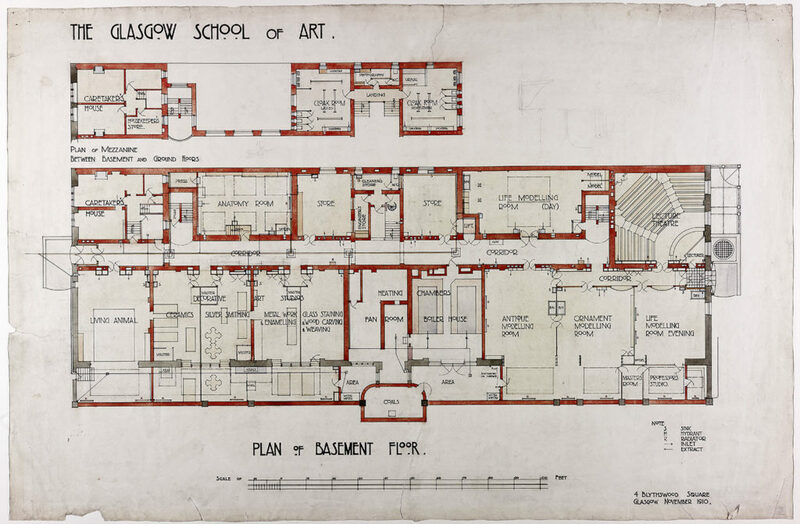 When the Mackintosh Building first opened the basement floor housed a room for live animals (noted on the plan below as the ‘Living Animal’ room) where GSA students could come and draw these live subjects. You would not be blamed for thinking that any animals brought into the School would probably be of the smaller, more manageable variety such as rabbits, ducks, chickens, goats and it is certainly true that these animals were used as models. However these were not the only type of animals presented within the Living Animal Room, there were far more exotic and very much larger animals that did at one point venture into the halls of the Mackintosh Building. We know from our correspondence records that along with smaller mammals, a horse, a camel and potentially an elephant all made their way into the building for students to study during the Directorship of Francis H. Newbery. During this time we know that along with the Living Animal Room, GSA students enjoyed a discount at the Glasgow Zoo that used to reside at New City Road at Cowcaddens, and would have had the unique opportunity of studying these animals from life rather than from books. “The Governors would be permitted to speak of the great service that the collection at the zoo has been to the students here. For the past four years a series of animals such as Elephants, Camels, Zebra and other of the mammalian, have been brought to the School twice weekly for the use of the Animal Class. While this animal class took place during Francis Newbery’s time as Director, this is not the only time in the School’s history when a camel has walked through the Mackintosh Building’s corridors. 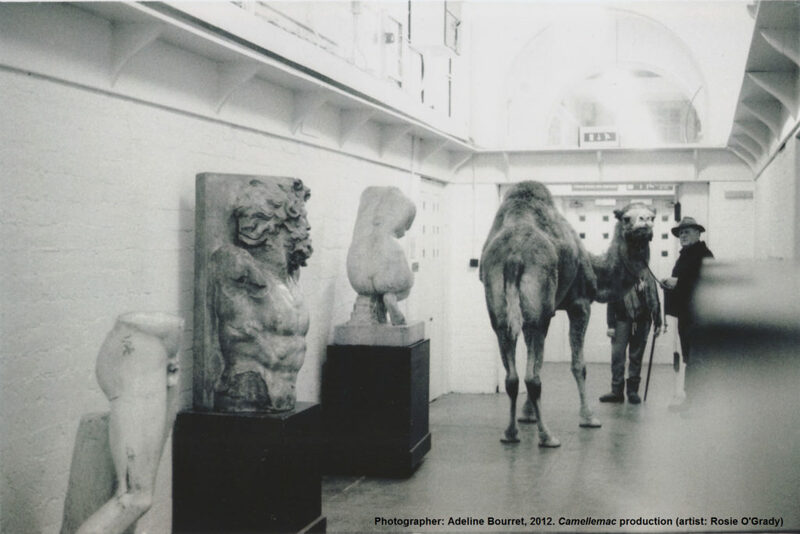 In 2012, now GSA graduate Rosie O’Grady created the work Camellemac which saw a camel once again inside the building. Taking inspiration from the story in the archives of the Animal Class and the different animals that had come into the building, Rosie created a new piece of work that re-introduced a camel to the Mack! As part of one of GSA Archive’s ‘Explore your Archive’ campaign story boxes, Rosie was interviewed about this project discussing her use of the archives in the GSA, her process and the end result. This story box, including the interview with Rosie is now available on Pinterest! 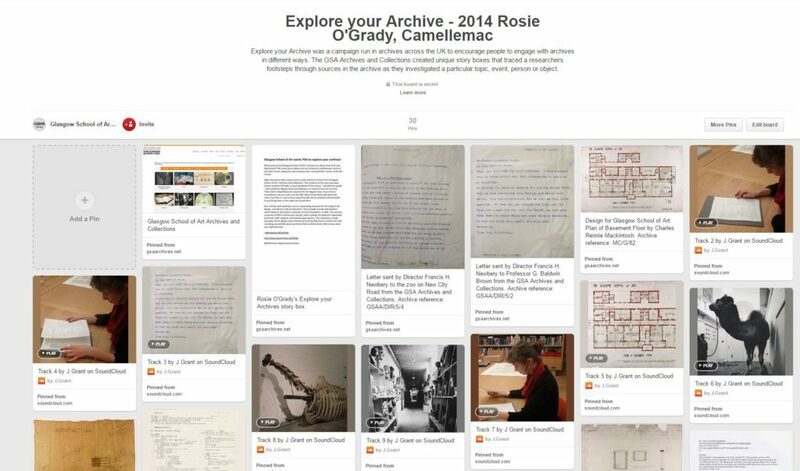 See Rosie’s production notes, images of the correspondence in our archives and hear her talk about the process of discovery and creation starting in the archive. Until next time!